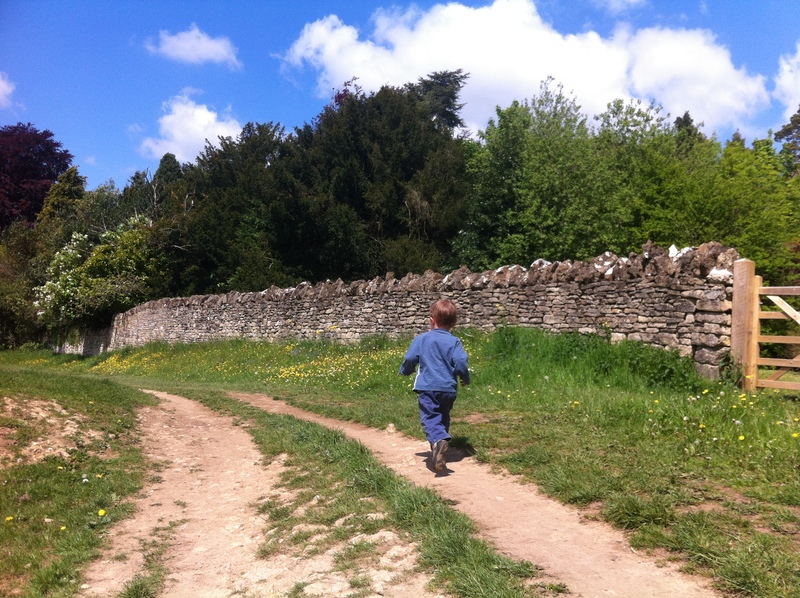 I pulled into the carpark of The Bear Hotel on the edge of Rodborough Common, close to the market town of Stroud in the Cotswolds, to meet up with the rest of the family – my girlfriend, Louise and our two sons, five-year-old Sam and two-and-a-half-year-old Mungo. “Scoot! Scoot!” wailed Mungo, looking pleadingly at the boot of the car. To avoid any more distractions, I hoiked him up onto my shoulders and we set off. I wasn’t entirely convinced that the children would take to our new-found enthusiasm for searching for the beasts from The Gruffalo, especially as we were starting with one as small and potentially hard to spot as a butterfly. If we’d gone for trains or diggers or tractors or snowploughs, we would definitely have been making life easier for ourselves – they’re big, often brightly coloured and tend not to move as fast as a kingfisher or a red admiral. Experience had long taught me to keep quiet – any response could be like pouring a whole barrel-full of methylated spirits on a summer barbeque. We were walking along a narrow footpath, with the ground dropping steeply to our left. Some cows grazed lazily in the field in the hot – dare I say baking – sunshine, when suddenly something caught my eye. “Look! Look! A butterfly!” I exclaimed, as if I’d just seen a pterodactyl. But the small white – just about the commonest species in the country – had flitted up and over the wall and into the gardens of millionnaires’ houses that fringe the common before Sam or Mungo had even had a chance to react. Mungo gambolled happy as a spring lamb, unconsciously teasing us by running full pelt at the electrified fence, while Sam traipsed behind, occasionally stopping and staring at us as if we’d just asked him to scale the north face of the Eiger. A buzzard soared lazily in the thermals, but it was too far away to make any impression on the children. …who sulks his way to the Common. Sensing dissent among the ranks – well, we’d walked nearly quarter of a mile – Louise called for a sandwich break. Ham for Sam, peanut butter for Mungo. Any scraps that were left for us. Chocolate biscuit fuel stop after, oh, a few hundred yards. With the troops now not marching on empty stomachs, we headed down the precipitous slope to the ‘butterfly valley’, where we could see a man in his mid-30s wearing a dun-coloured birder’s waistcoat. He was kneeling among the closely cropped vegetation with a compact digital camera. I knew instantly that he was looking for butterflies. Sometimes you can just tell. Sure enough, something small was fluttering about in the warm air. 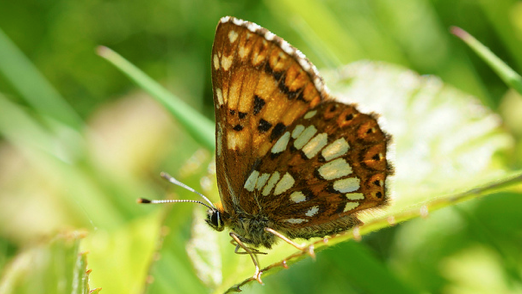 “It’s a Duke of Burgundy,” he told us, which I knew referred to the tiny amber-coloured creature in front of us, rather than the owner of one of the estates above. “Have you seen any Adonis blues?” I asked hopefully. “Not today,” he said. “They ought to be about. Try looking up there,” he said, pointing vaguely up the slope. “D’ere,” said Mungo, looking in the opposite direction. “Can we go back and get a packet of those yellow crisps from the pub?” said Sam, perhaps sensing that the expedition was losing its impetus. I hesitated. 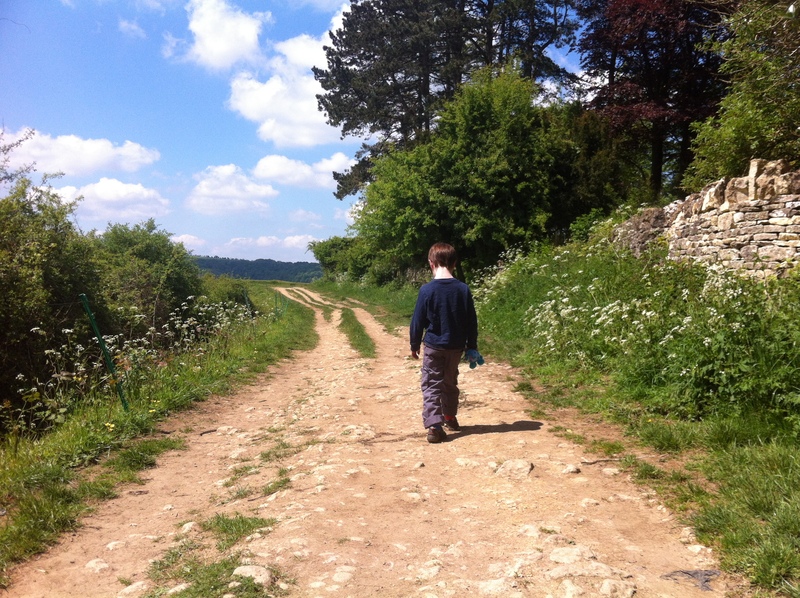 It was clear that there weren’t a huge number of butterflies out today, the steep grassy bank was no place to go wandering around gaily with a five and two-year old in tow and we didn’t want to turn this into a forced march. It was supposed to be fun – the very fact that we’d dragged them out to this spot, out of range of a Cbeebies website, scooter park, zip wire or ice cream stall, was a miracle in itself. 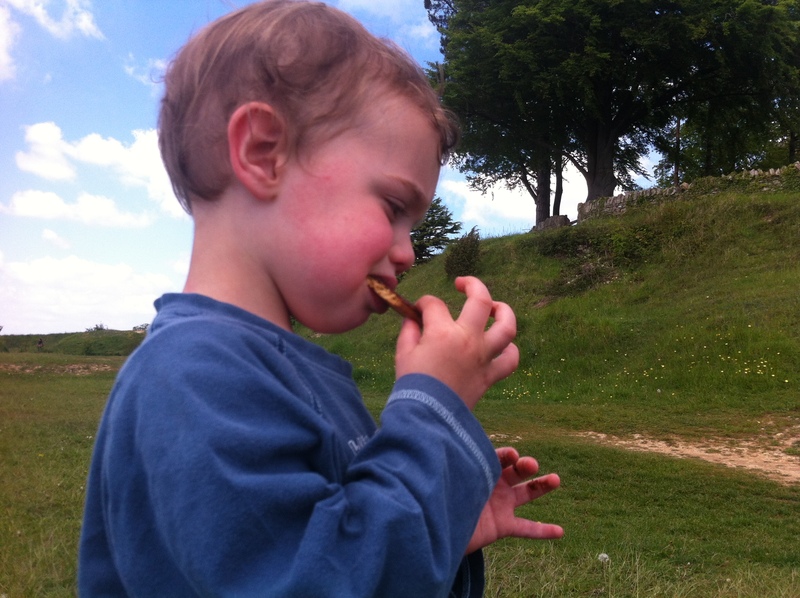 And we had promised Sam a packet of Quavers at the Bear Hotel – we owed them that. “But they might not have Quavers,” he wailed, as if he had just been flung into the very lowest pit of hell. “I absolutely promise you, Sam, that the Ram very definitely has Quavers,” I responded. “I promise, do you understand, I PROMISE.” That my life frequently involves making Faustian pacts with the fast-food industry was not something I had anticipated before we had kids, but if that’s what I have to do to get them to out onto the relative wilds of Rodborough Common and other places, then so be it. 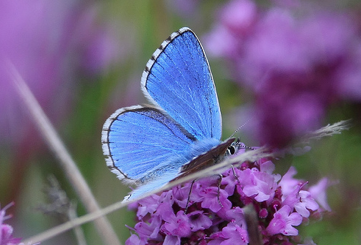 An Adonis blue butterfly – the one we didn’t see. Rodborough Common is hardly Snowdonia and we didn’t walk very far, but the fact that we went for a walk at all is a minor triumph. And we did scramble down a steep scrubby hillside. Failed to find any the Adonis blue , for which the common is renowned, but did at least see some butterflies. The children appeared to enjoy it, though not as much as the Quavers. Rodborough Common is just south of Stroud in South Gloucestershire. Find out more about it at http://www.nationaltrust.org.uk/minchinhampton-and-rodborough-commons/ People go there to walk their dogs, fly kites, play football, eat ice cream and even look for wildlife. There are skylarks nesting there at this time of year.